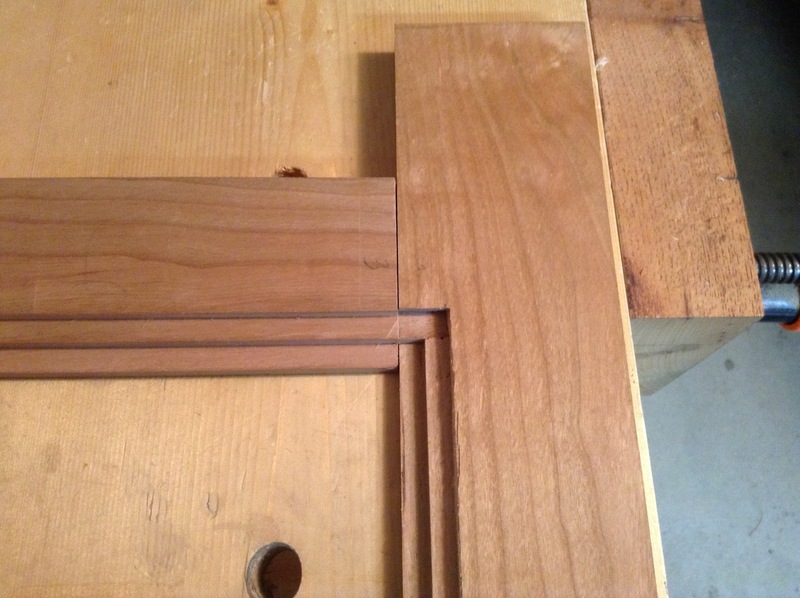 The only difference on this frame is the mirror sits in a rebate instead of a groove. 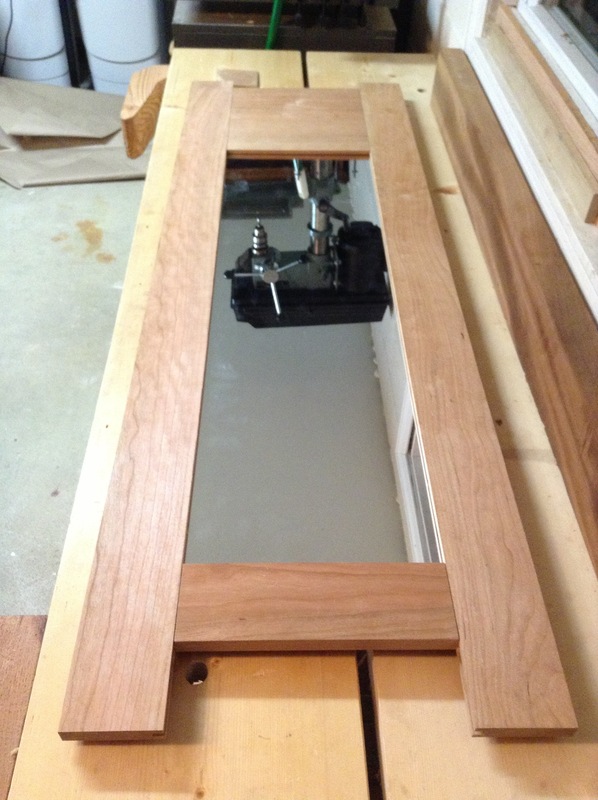 Originally, I was planning on setting the mirror in a groove. However, then I thought about replacement of the mirror in case it ever should break. Adding a series of rebates allows the mirror to be replaceable. 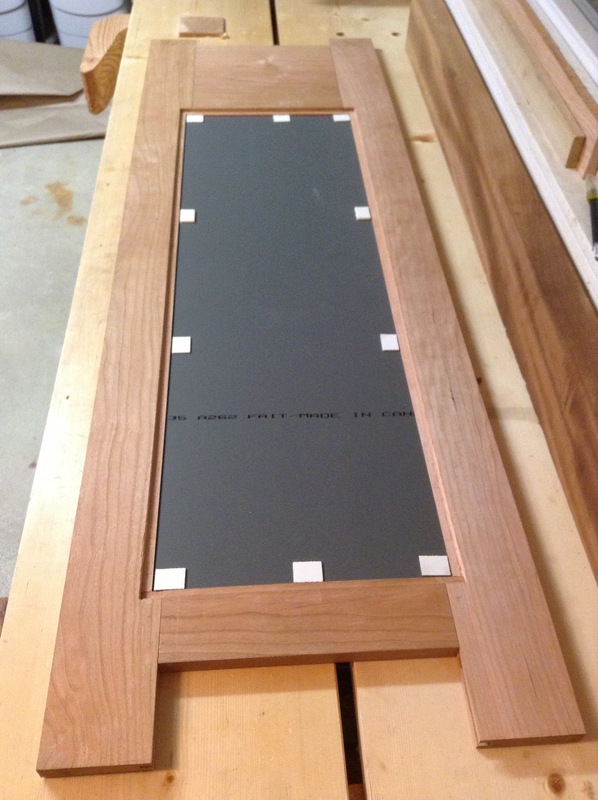 The mirror sits on the first rebate, followed by an air gap, then a thin panel is attached to the second rebate. Those white squares are foam pieces to help create the air gap. I had the mirror cut from a local glass shoppe. I got to step into their shop, which was pretty cool. At the time I had stopped by, they were replacing the glass on antique door. I got to watch the process as they cut the mirror for me. 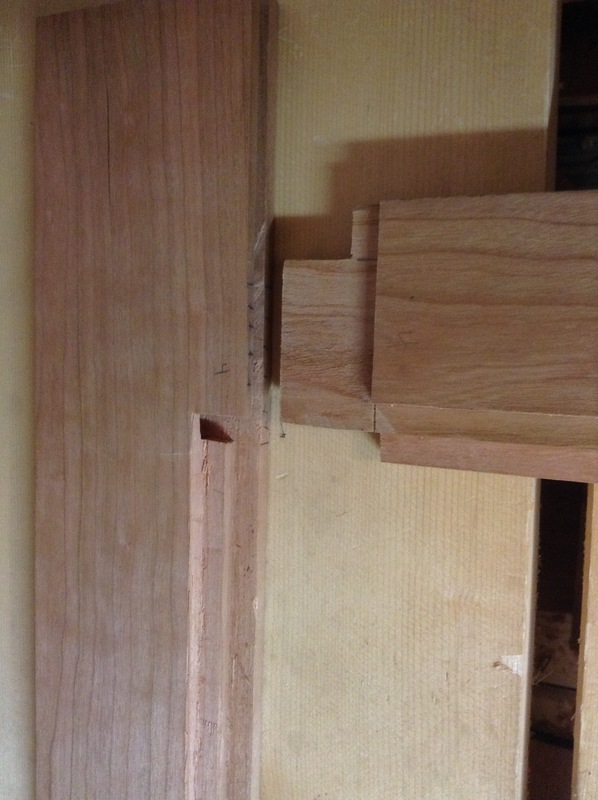 Next, I think I’ll move onto making the cross pieces for the two shelves. 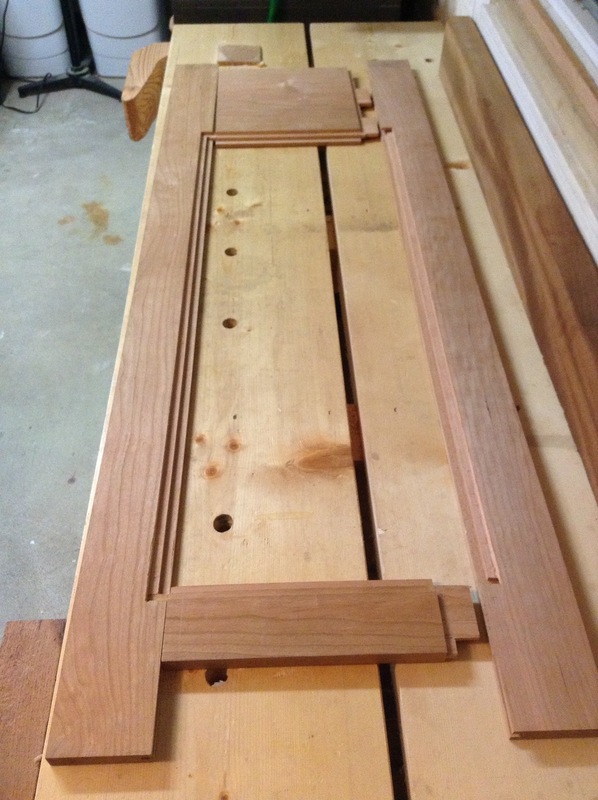 This entry was posted in Chiffonier, hand tools and tagged chiffonier, hand tools, woodworking by villagecustomfurniture. Bookmark the permalink.